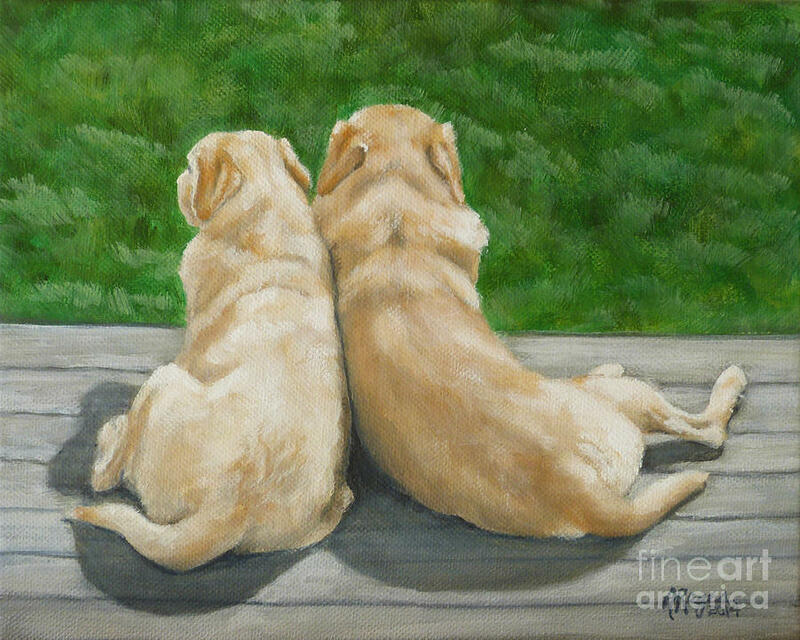 Labrador Lazy Afternoon is a painting by Amy Reges which was uploaded on March 15th, 2014. There's nothing like spending a relaxed afternoon with a good friends soaking up sunshine on the porch. 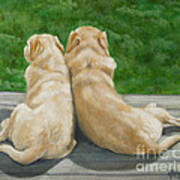 Two yellow labrador retrievers lie side by side enjoying each others friendship. 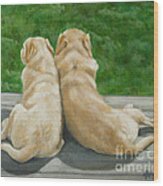 Based on a photo of my own dogs - we all love sunbathing on the deck! The abstract patters of the sun on their coats and cast shadows inspired me for this simple painting. 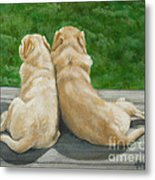 Artist, Amy Reges - OtterTail Dog Art. Love those otter tails! I love this !! Congrats on your sale.